Before we get to the season-to-date averages, here are the winners and losers from March 25th through March 31st — based on the coveted 18-49 demographic, as measured against the last original episode. Week-to-Week Gains: 48 Hours Mystery 1.4/4 (+27.3%), 60 Minutes 3.1/10 (+55.0%), The Amazing Race 3.2/9 (+14.3%), Undercover Boss 3.2/9 (+14.3%), CSI: Miami 2.7/8 (+3.8%), NCIS 3.9/11 (+2.6%), NCIS: Los Angeles 3.5/9 (+9.4%), and Criminal Minds: Suspect Behavior 2.3/6 (+4.5%). 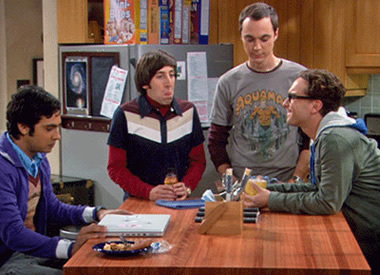 Week-to-Week Losses: Mad Love 2.1/6 (-12.5%), The Good Wife 1.9/5 (-9.5%), Criminal Minds 3.5/9 (-2.8%), The Big Bang Theory 3.7/12 (-2.6%), Rules of Engagement 2.4/7 (-14.3%), CSI 2.9/8 (-3.3%), and The Mentalist 2.8/7 (-3.4%). criminal minds ,ncis , and the mentalist are my favorite shows on cbs. Question: When viewers tape a TV program to watch at a later date (which many of us do), is this included in the ratings calculations? Also, many programs are viewed in other countries (UK, Sweden, Ireland, Germany, Canada particularly). Do they include any of these viewings in the ratings for a show? Thanks! @Mary Beth Maumus: If the person has a Nielsen ratings box in their home, then they are counted. Otherwise, no. CBS doesn’t care about viewing in other countries because it has nothing to do with them. Their interest is mostly centered around how many people see the commericals. That’s where they make the money to pay for the shows to be made.